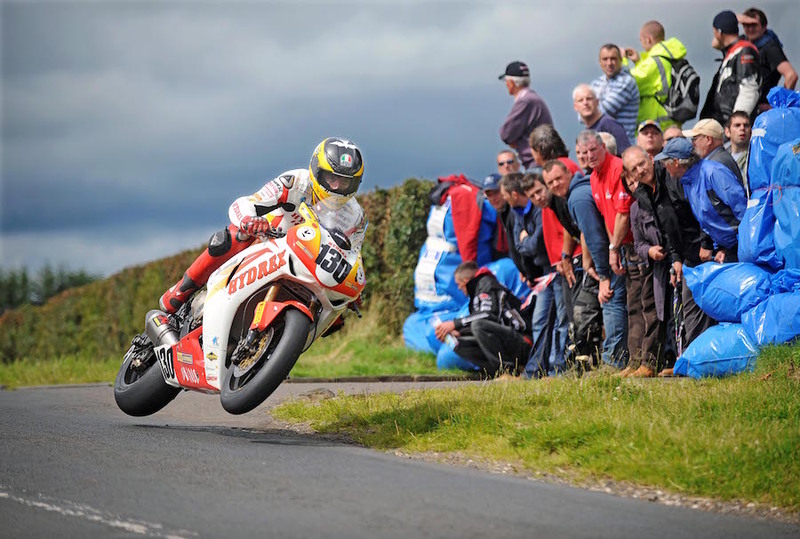 Guy Martin is among the world’s best known road racers, now famous as much for his film and television appearances as for his racing achievements. As the principal player in a 2010 TT documentary film, Guy dodged death in a spectacular 240km/h fireball crash. Working with TV producers, Guy’s exploits are as diverse as attempting new world land speed records on two wheels and building a WW2 Spitfire fighter plane. Taking him to audiences far beyond the racing paddock. Irish photojournalist Stephen Davison remained focussed on Guy’s bike racing and has documented the English rider’s 17 years of racing in a new photobook, Guy Martin: Road Racer, charting the highs and lows of his extraordinary career. Alongside images which capture Guy’s racing on closed public roads and the beauty of the Irish and Manx countryside, the book goes behind the scenes of the Lincolnshire man’s busy life. Davison snapped Guy working on his beloved trucks, covered in grease, and there are also gritty shots of the sporting polymath competing in endurance cycle races. One memorable picture captures an exhausted Guy caked with mud and eating from a saucepan. Guy’s racing in Ireland, the Isle of Man TT, Southern 100, Scarborough, Macau and even the Le Mans 24 Hour is covered. His career is recorded, from the first race at Kells in 2002 until his unhappy 2017 TT with Honda. In addition to a short introduction, there’s also a list of Guy’s major victories and brief explanatory captions, the words and pictures take the reader on a visual journey from brash young upstart to fully supported factory rider. “Guy gave us the inside story in his 2014 autobiography and Phil Wain’s biography recorded his racing achievements. My book tells the stories in pictures.” Davison explained. One question with which the book grapples involves Guy’s failure to win a TT, despite beating all his main TT rivals in head-to-head battles at places like the Southern 100, Scarborough and the Ulster GP. 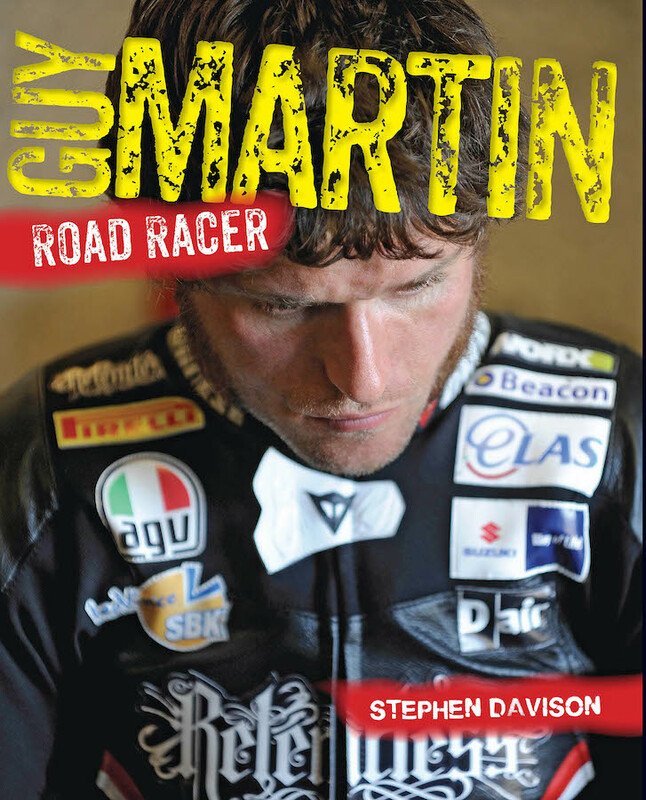 With his mainstream racing career now apparently over, this book offers a reminder of the brilliant performances which helped propel Guy Martin to international stardom. It’s hard to disagree with Davison’s conclusion that the world now knows a lot more about road racing, thanks to Guy’s off-track exploits.